Seven was born in Frankfurt, Germany in 1983 (the daughter of American parents) and currently resides in Olympia, WA. She was first introduced to the Poem Store in 2015 and fell in love with the spontaneity of it and the opportunity to interact and connect with her community. She is often found with her typewriter at the Olympia Farmer's Market as well as the Ballard Farmer's Market in Seattle. Seven's poetry, philosophical writing, and oil paintings are greatly inspired by Hermetic and other esoteric teachings that focus on themes of unification, wholeness, and the exploration of human potential. More of her work can be seen on her website and Patreon account. William began typing poems on 14th Street in New York City in 2006. He was tuned in to street writing living with artist & friend Zach Houston. Zach birthed Poem Store in the modern era. Since then William has traveled widely with Poem Store, from Miami, FL to Seattle, WA. He is currently living in Nevada City, CA & warming the streets of Gold Country. Including Sacremento, Grass Valley, Tahoe, Nevada City & the Bay Area. Continuing the work of setting up Poem Store stations worldwide, providing a platform for fellow wordsmiths to engage the public, make a living, and bring poetry to the people. William was a subject for a King 5 news story, working the farmer's markets in Seattle in 2014. He has been written about by the Associated Press and featured in the LA times. An abstract painter of wildlife and life-long percussionist, Elliot Kurtz migrated from his Southern California hometown to New York City to sell his works while apprenticing as a jeweler, inspired to share Love through the arts both locally and abroad. In 2013, a poet friend invited Elliot to the Pacific Northwest, where the arts, woven of culture, are transformed through community. 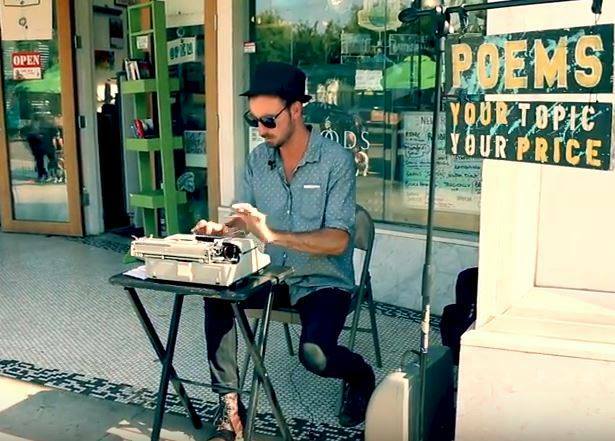 In 2014, Elliot began typing poems at Farmers Markets in Seattle and Olympia, WA, where he currently resides. 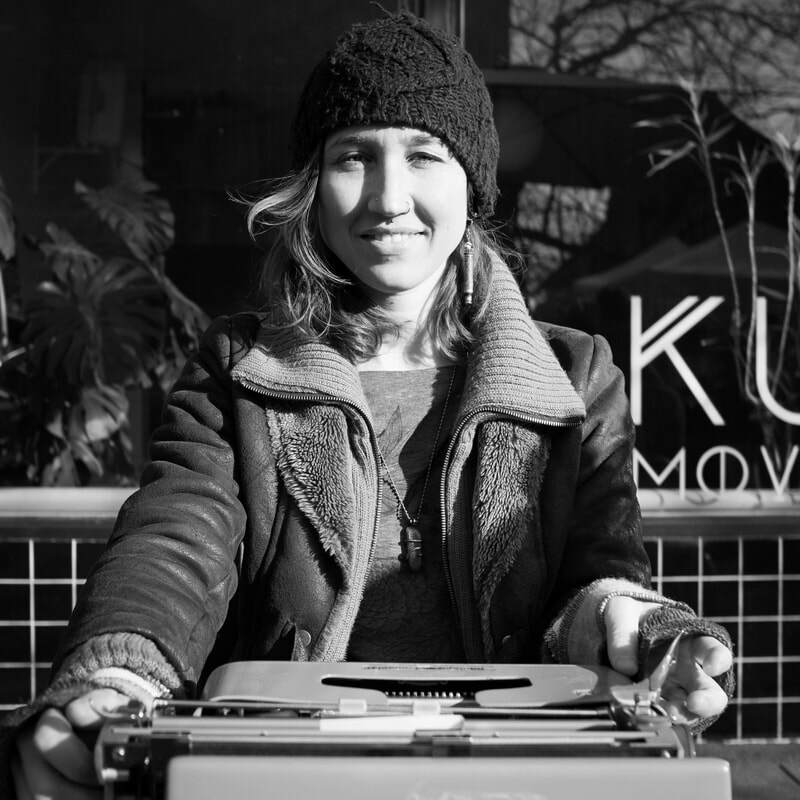 Shannon's long-term love-affair with the typewriter began in 2010 with her first Smith-Corona. Though she had always enjoyed writing, her current poetry is a child of that union- in which the medium is also the muse. Shannon can often be found in the western cascades of Washington where she practices being a skillionaire, works in a woodshop, and writes. Alas! 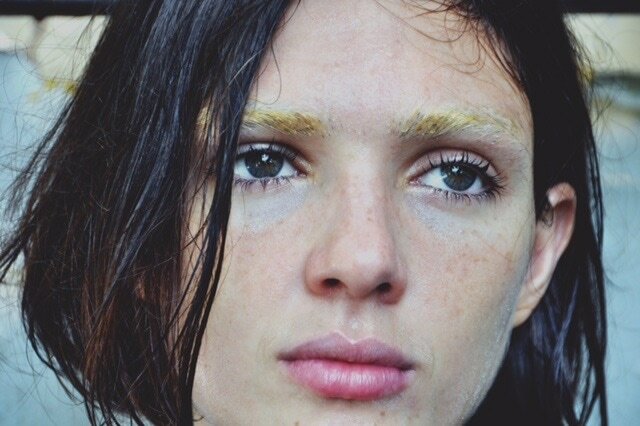 A goddess, Sarah Maria Dos Santos is a phantom, artist who surveys the principles of causality and sub-consciousness. When will I invent your dreamy stare? In this promising day, I saw the illusion of the raindrop. The (fallen) love sat on my lip. Fine, only you know. You know Calypso? In this fleeting moment, I really loved you so. I will be near the river - over there. I was ashamed, broken heart. I crossed the street. I looked out my window. We are needed by this fleeting world; I wish I could have been there. Been what you needed. It rained. She ran outside. Sem voçê. And then like a promise, a series of kisses, all different from each other like diamonds and rubies like heaven she danced with me. Just like that, shes gonna get you. Hey, hey!